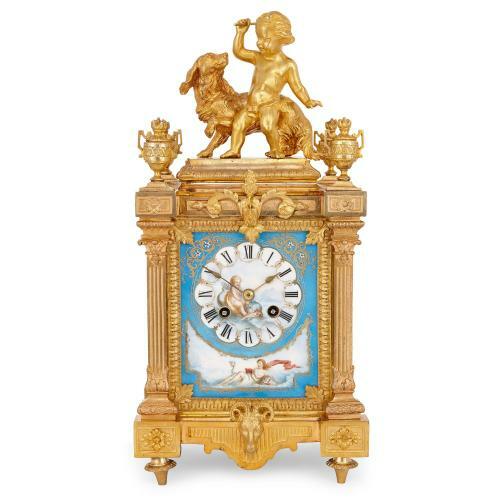 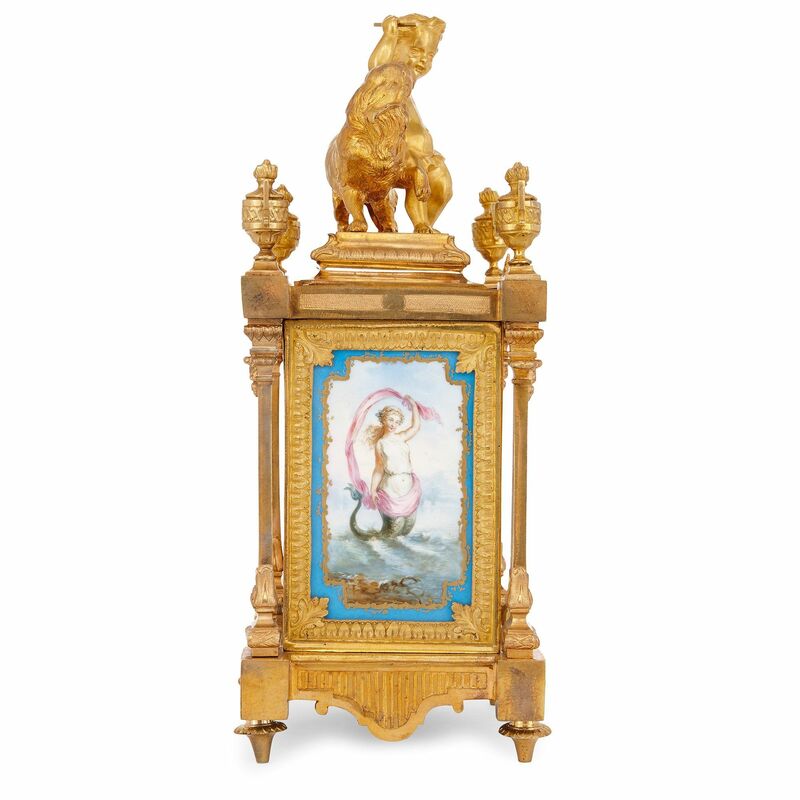 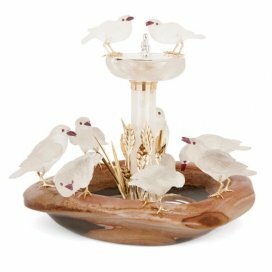 This antique French mantel clock, in the Neoclassical style, is masterfully worked and features delicately ornate details in ormolu and Sevres style porcelain. The mantel clock is constructed in ormolu and features three fine Sevres style porcelain plaques. 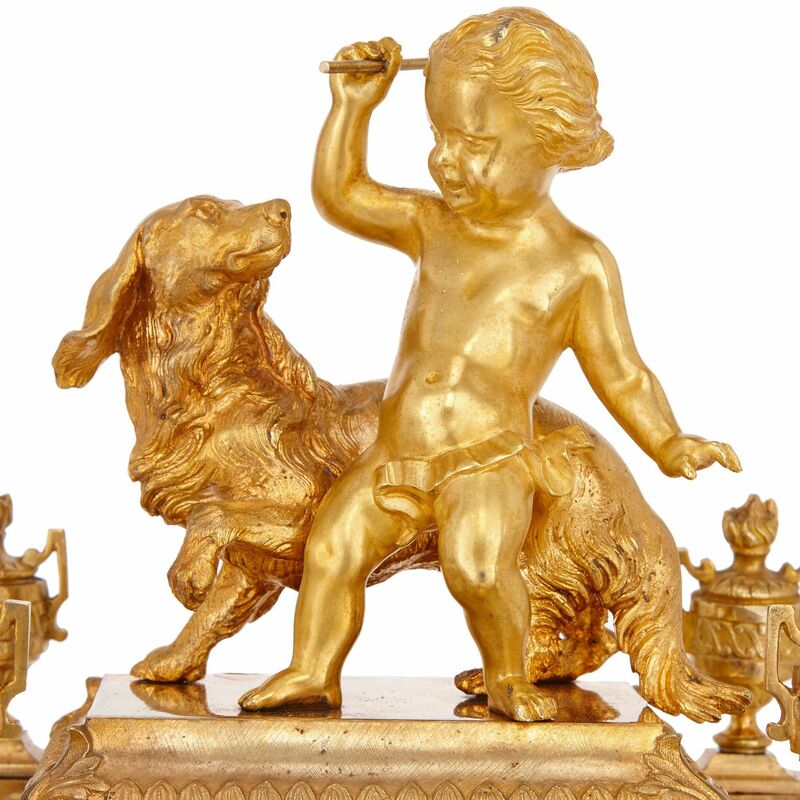 The rectangular ormolu case features four pilasters in the Neoclassical style and is surmounted by four vases and a putto with a dog. 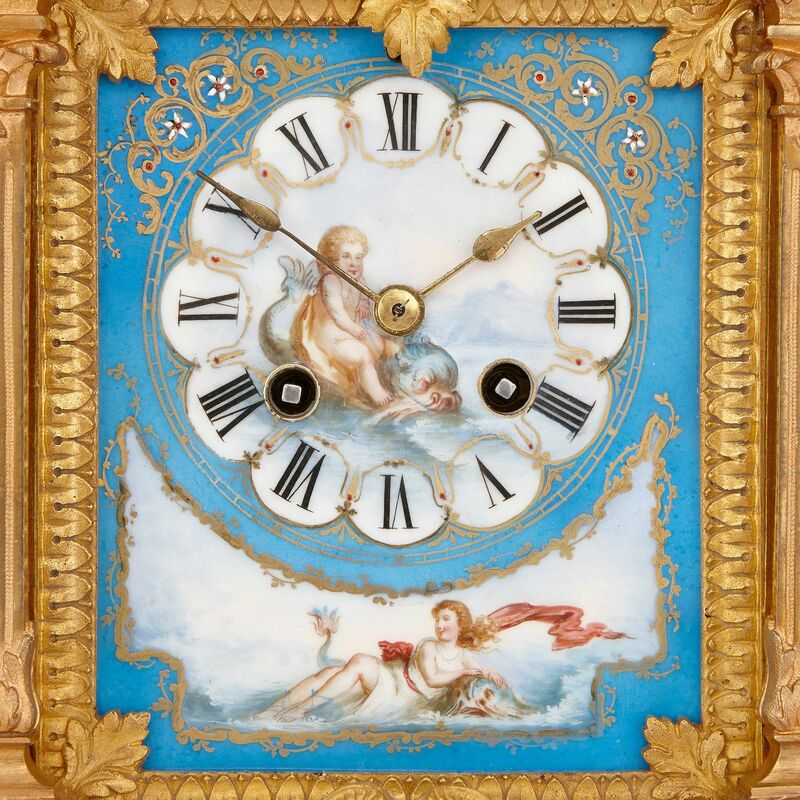 The main porcelain plaque to the front features the clock face with Roman numerals to the centre, and is further decorated with scenes of a cherub and a nympth around water, all set on a turquoise ground and with jewelled detailing. 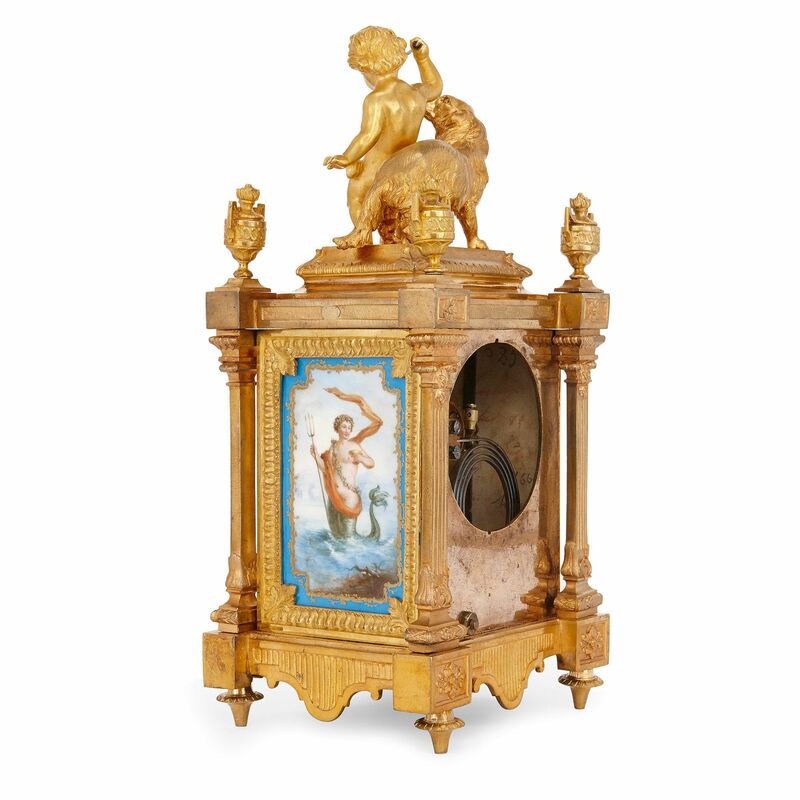 Two further porcelain plaques are mounted to the sides, depicting scenes with Neptune, Aurora and mermaids. 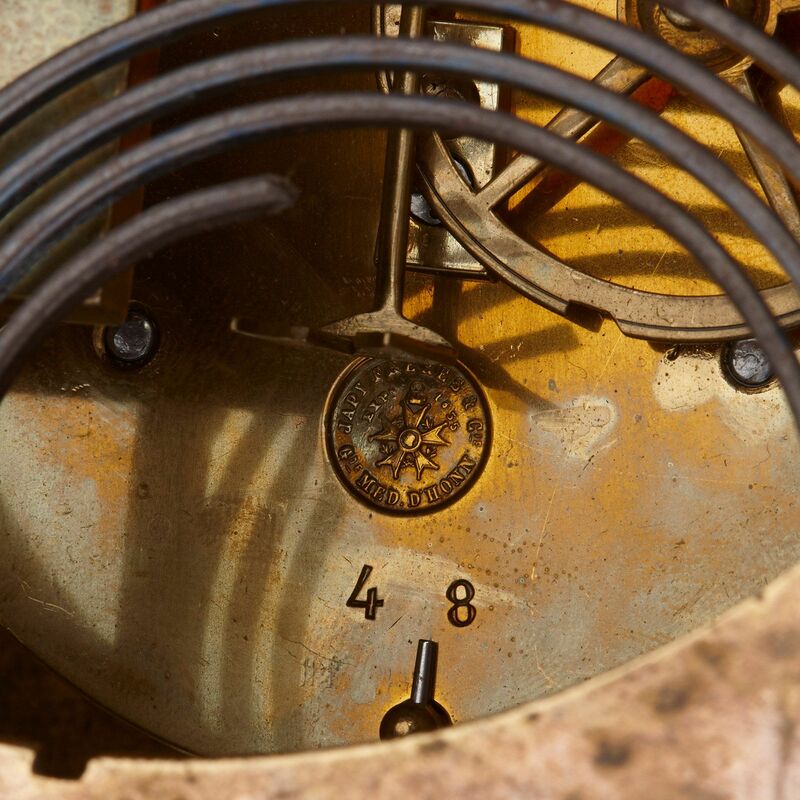 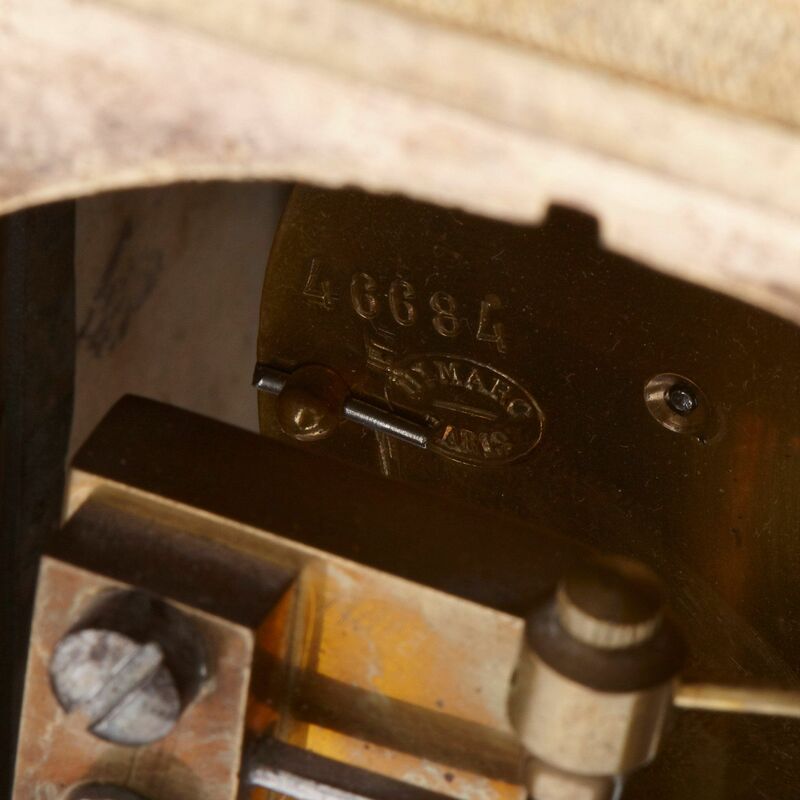 The clock movement is stamped 'Hy Marc/Paris,' numbered 46684 and bears the Japy Frères stamp. 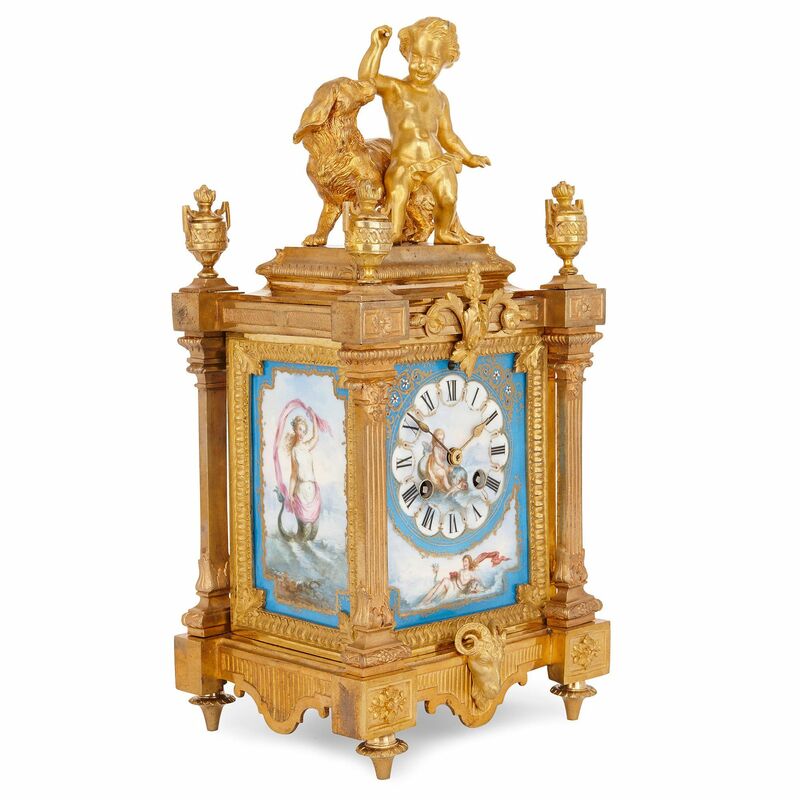 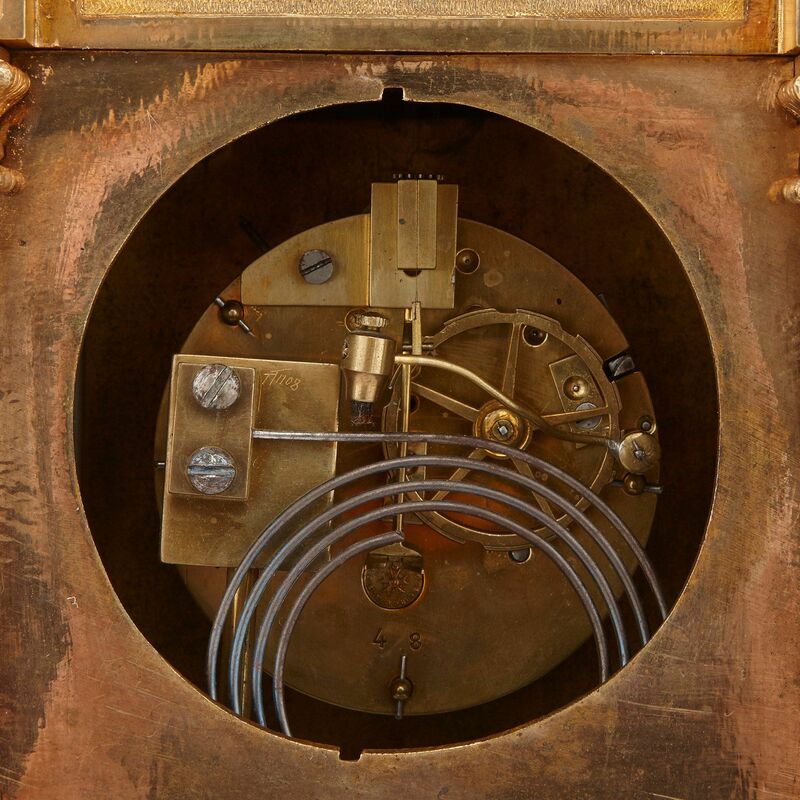 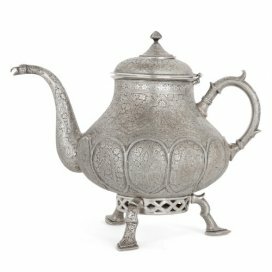 The ormolu mounts are stamped to the underside 'ER', the mark of Parisian clockmaker Ernest Royer, who was active in the second half of the 19th Century.